Marshall Wong has served as a Senior Intergroup Relations Specialist with the Los Angeles County Human Relations Commission since 1999. He is the Commission’s Hate Crime Coordinator and the principal author of the agency’s annual Hate Crime Report. Marshall also staffs a countywide coalition, the Network Against Hate Crime and provides training for law enforcement and service providers. Previously, Marshall Wong held positions with the Smithsonian Institution and the Mayor of Washington, D.C. He was a Fellow in the Kellogg National Leadership Program and was named Social Worker of the Year by the National Association of Social Workers. He has written articles for Social Justice, the Washington Times and Asian Week. April 12, 1983, 400 students gathered in Los Angeles to protest tuition hikes. The MC was Marshall Wongfrom UCLA Federation For Progress, a front for the pro-North Korean Communist Workers Party. Other speakers included Marxist professor Rudy Acuna, Cal State Northridge, Judy Chu of UCLA and radical lawyer Larry Frank, a future Deputy Mayor of Neighborhood and Community Services in the Office of Los Angeles Mayor Antonio Villaraigosa. Marshall Wong was also a staff member of the Federation For Progress‘ Survival Fest 84 week-long series of events in Los Angeles. In October 2005, in Monterey Park, CA: former Federation For Progress staff members Linda Tubach and Bob McCloskey hosted an evening celebration of the twenty-fifth anniversary of the Greensboro Massacre, the October 1979 killing of five Communist Workers Party members by Ku Klux Klansmen, in Greensboro North Carolina. A report on the Greensboro Truth and Reconciliation Commission and the Greensboro Justice Fund‘s successes was delivered by organizer Marshall Wong. Marshall Wong is the brother of well known Communist Workers Party leader Kent Wong. 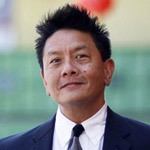 Marshall Wong also serves on the Steering Committee of API Equality-LA. February 3, 2009, as part of its “Heroes of Love” campaign to honor straight allies who have championed marriage equality, the Los Angeles Gay & Lesbian Center has recognized 15 Californians who have played a leadership role in fighting for the freedom to marry on behalf of the lesbian, gay, bisexual and transgender (LGBT) community. Among the 15 celebrities, labor leaders and civil rights activists were state Board of Equalization Chair Judy Chu and Asian Pacific American Legal Center Vice-President Karin Wang. A longtime leader of the Federation For Progress and an affiliate of the Communist Workers Party, Judy Chu, is now a Congress member from California’s San Gabriel Valley. In August of the same year, Marshall Wong lead a discussion on “hate crimes in our community” at an event marking the 10th anniversary of the attack on the North Valley Jewish Community Center and the slaying of U.S. postal worker Joseph Ileto by white supremacist Buford O. Furrow Jr.
Other speakers included Congresswoman Judy Chu and another Communist Workers Party affiliate, Marshall Wong‘s boss Robin Toma, Executive Director of the Los Angeles County Commission on Human Relations. Equities slumped again Friday, but the mega capitalized shares felt the brunt of the selling, an inverse of long term trends. As noted Friday, tariffs would impact the multinational companies more than the firms whose business is done domestically. By education, I believe in free trade and tariffs are detrimental to such. But is there free trade? I do not know how to answer this question. I would like to digress. Following WWII the vast majority of political scientists/economists would agree the US opened its borders to any country resisting communism based upon the theory that if the country is doing well economically, the odds of it falling to the communists fall. Trade deficits were more palatable than more communist satellites. The cold war ended and for about 7-10 years, global trade expanded as formerly closed markets opened. The above is well accepted. Some believe the period from 2008-16 was an era where the Administration attempted global wealth redistribution via trade. The entire global business industry was built upon multipolarity and interdependency with the US absorbing any losses in this global redistribution attempt. I question if globalism/interdependency is the pathway to economic growth and wealth dispersion, why did economic growth sputter and the global wealth divide expand? As noted many times, the last time there were four consecutive quarters of 3% growth or more was 2003-04, the longest such stretch since the early 1930s. Obviously there is a massive disconnect, hence the global rise of economic nationalist governments. To reiterate, I believe during the past 10 years there was a massive transfer of wealth from Main Street to Wall Street, a transfer that created today’s wealth disparity and political environment. President Trump is turning the global business environment upside down in his quest to return wealth back to the individual. It is my firsthand experience, any organization that is losing power or influence will take any means necessary to maintain it. Politics/economics is a blood sport. The path and the ramifications are infinite. This week’s trade data has now risen to considerable significance. Friday, the all-inclusive employment data is released. All will scrutinize the data in an attempt to discern wage inflation. The individual will welcome wage inflation, but the markets do not for such will alter monetary policy assumptions, assumptions that are a large variable to algorithmic trading programs. Last night the foreign markets were mixed. London was up 0.14%, Paris was up 0.16% and Frankfurt was up 0.54%. China was up 0.04%, Japan was down 0.66% and Hang Sang was down 2.28%. The Dow should open nominally lower on fears of an escalating trade war. Politics is emerging as the primary variable. The anti-establishment party in Italy surged in yesterday’s election. China hosts its National People’s Congress. And then there is the upcoming announcement from the Trump Administration regarding trade. Will it be as draconian as some fear? There are also announcements from the ECB and BOJ about monetary policy. Wow! It makes Friday’s employment data a second tier event. The 10-year is up 4/32 to yield 2.85%.